Anyone have a landing gear assy and wing tube for sale to the DP cub. I will try the Hangar 9 wing tube in my DP cub and check for tolerances. I can also do some comparisons on the landing gear. Let you know tomorrow. I still Have my DP Cub-- I love it. Ok, the wing tubes are the same diameter and length. The landing gear should work ok, but the H-9 fuselage is 1/4" wider than the DP. Dave Patrick 1/4 Scale Piper PA-18 Super Cub? 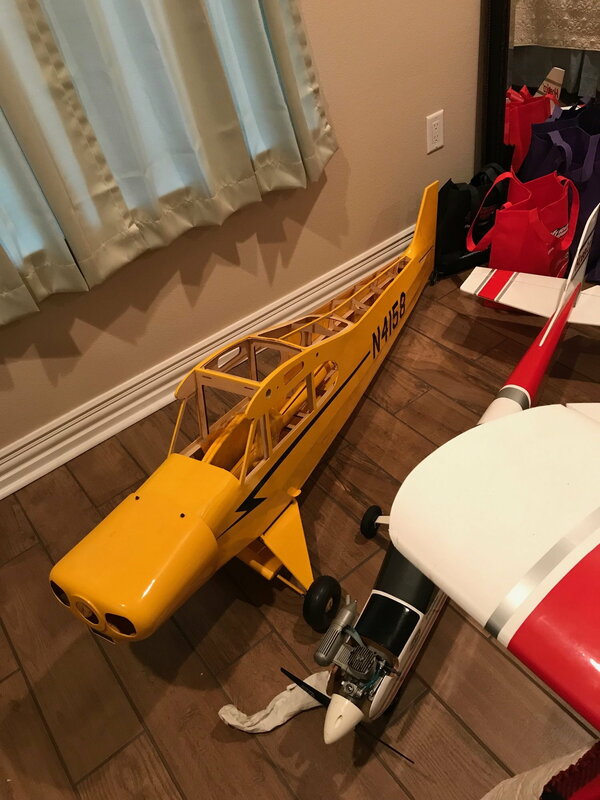 I know I am sooo late coming to this thread but I just came across this thread after finding, completely by mistake, a model of the Dave Patrick 1/4 Scale Piper PA-18 Super Cub. Or, at least that is what I think it is... Maybe someone could help me verify if, in fact, that's what I have. I'll attach the pictures off what I've got here, that is, if anyone is still looking at this thread! I came upon this model completely by accident and the kindness of the previous owner. 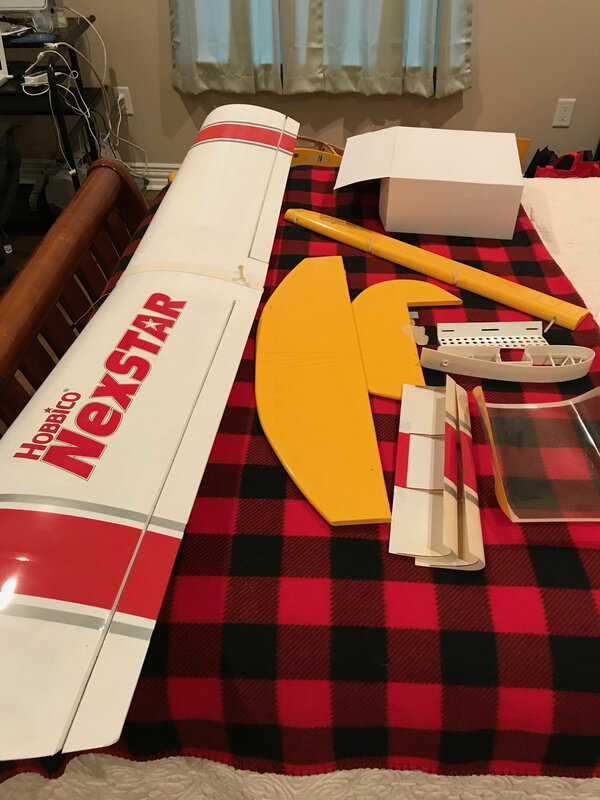 I had purchased a replacement Hobbico Nexstar that I bought (and subsequently destroyed) for my son from ebay. It was a local pickup only in the Houston area. I live in Baton Rouge so my brother-in-law agreed to pick it up for me and bring it back the next time he came home from Houston. Anyway, the seller dropped off the plane as promised but then also threw in this Dave Patrick Super Cub for free! I thought at first it was a Hangar 9 PA-18 but after examining what I saw in the pictures that my Brother-in-law took and the Hangar 9 manual, I decided it wasn't a Hangar 9 product. So, I began scouring the internet trying to determine exactly what I had. Well, to make a long story short ( I know it's too late for that! ), I find myself here. I have spent all day reading through this forum thread trying to educate myself a little on the history, build issues and options. 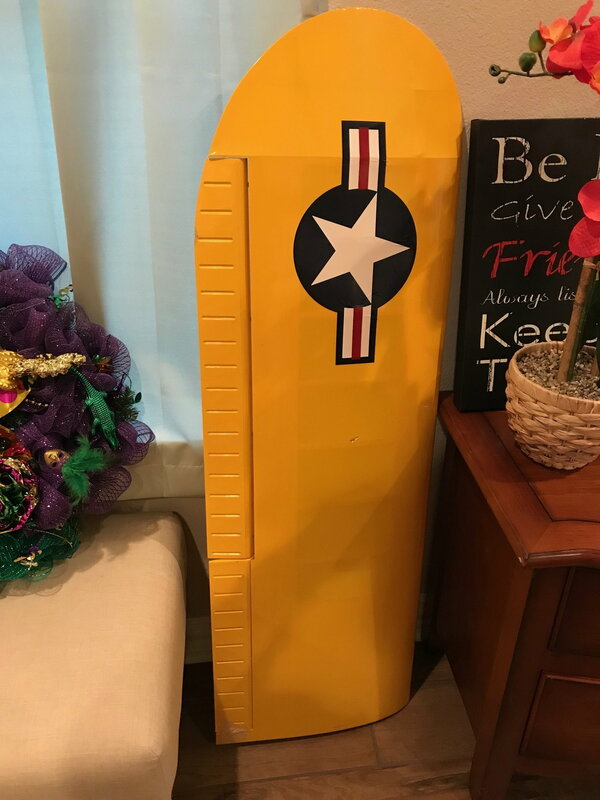 I am hoping someone can confirm that I that this is, indeed, a Dave Patrick Model and offer any advice that might be helpful in restoring it to any airworthy condition! If there is anyone who has the original instruction/assembly manual, I would gladly pay you for it, if you were prepared to part with it. I would also be willing to pay you to have it reproduced or uploaded so I could use it for reference. P.S. The system wouldn't let me post pictures because I don't have enough points. I'll try to post them later when I do! I tried to find a Dave Patrick Super Cub many years ago...I gave up and then Hangar 9 came out with their version so I bought one and never looked back. Now, even H9 has discontinued their cub. Seems like the good quality cubs are always a limited edition series when they're sold on the retail market so when they are available you grab one or two before they're gone forever. Same here. I tried forever but never found one. Sounds like you got a great deal VZ65. I think I remember reading that the H9 cub was basically the same as the DP cub, and that the parts may even fit. I don’t recall if that was ever verified, but you may want to look into that and order any spare parts that you need to get your cub into air while they are still available. edit- see post 1299 above. Send a private message to G.P. Find More Posts by G.P. yeah, that's the story of my life: a day late and a dollar short! I keep falling in love with RC Planes (and motorcycles) that have been discontinued. Then find myself having to hunt down everything I need, piece by piece. I'll start keeping my eyes open for another one as a spare! I'd eventually like to get one that has the original markings. The one I've found has got military markings (US roundels) on the wings and fuselage along with the civilian N-Number. For some reason, the previous owner pulled the letter "D" off the tail number as well. Once I get my hands on it, I'll see if I can get the roundels off and return it to the original look! Does anyone have any experience to confirm whether the H9 Super Cub parts will fit the DPM Super Cub or not? My model is missing the aluminum wing tube. Anyone know what size O.D. and length of the wing tube for this plane? I have the DP cub bought new in 2004. I still fly it although it is now down for repair. I bought a new cowl from FiberGlass specialties, and new canopy and windows from H9 when they had stock. I am convinced that the H9 and DP are clones, the canopy was an exact fit but had a white border frame, not the yellow of the DP version. Could be that the models were made at the same factory or tooling. I do have the manual, its well done and in English, not Chinglish. I can get a quote fro Staples to copy it, however it won’t be cheap, its 80 pages long double sided, in color, and in a spiral bound book. I have a number of posts in this thread early on, with pics of my OS 160 twin installation and exhaust tube design. The original starter of this thread stripped the beautiful covering from the plane, and recovered it in blue and white, with a set of matching floats. I think pics are in early posts. Bud was a master craftsman and sadly passed away a number of years ago. Hey, thanks for the quick reply. I wasn't sure anyone was still following this old thread. I went back and read all 53 pages and I certainly picked up on the level of frustration folks were having with DPM. Too bad they never could get things going inhouse or with CERMARK. It was frustrating to read, I can only imagine the amount of frustration having to live through it! was busy flyiing UH-60's in Iraq all when all that was going on.. 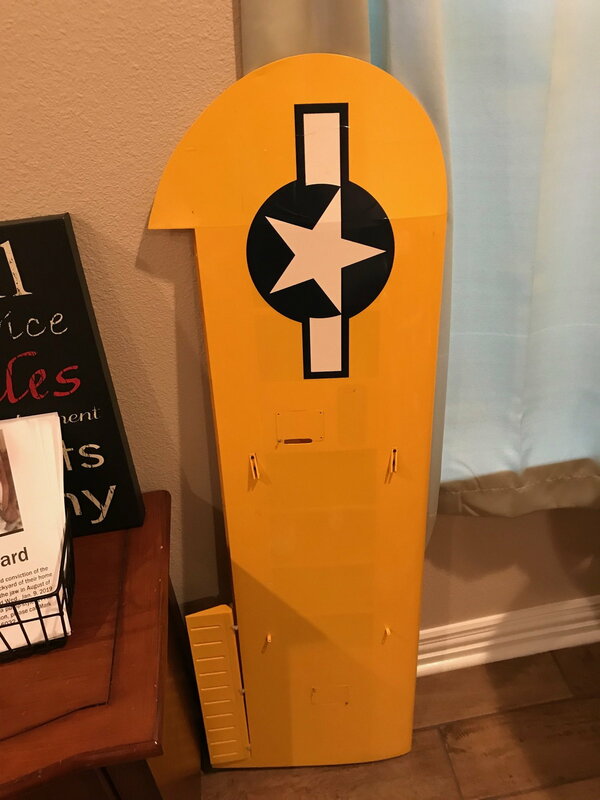 Anyway, I've looked on Tower Hobbies, Horizon Hobbies and ebay looking for spare parts, There is very few parts left: mostly major sections - fuselage, wing, elevator, etc. They do have a lot of the hardware but I'm waiting until I have the plane in hand before I start buying any parts. My brother-in-law picked up the plane for me in Houston where he lives. He's planning to bring it over at the end of the month on his next visit home. 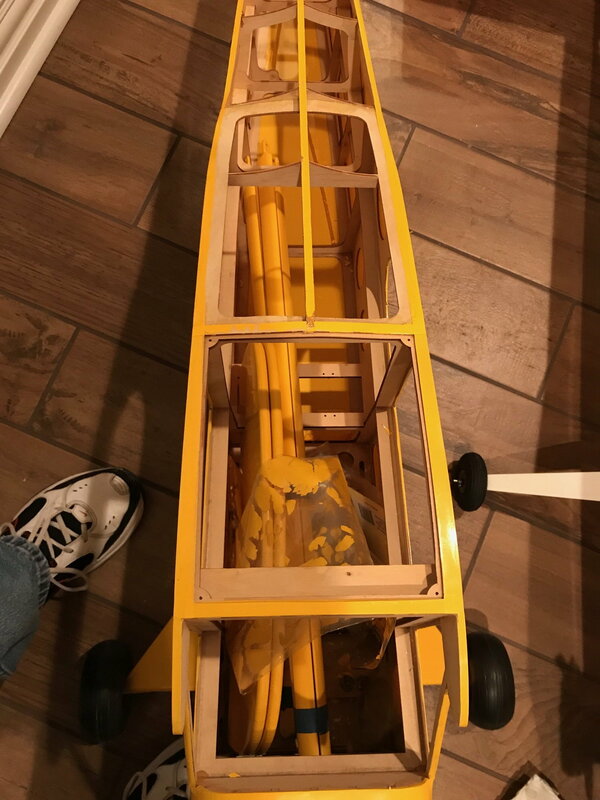 But, from looking at pictures and talking to him on the phone, it seems like the only parts missing, so far, are the wing tube and the side windows. I haven't been able to post pictures of the plane yet. Apparently, I don't have enough posts on the forum for that privilege yet. However, I am convinced that it is a DCM model based on all the photos I found on this thread. 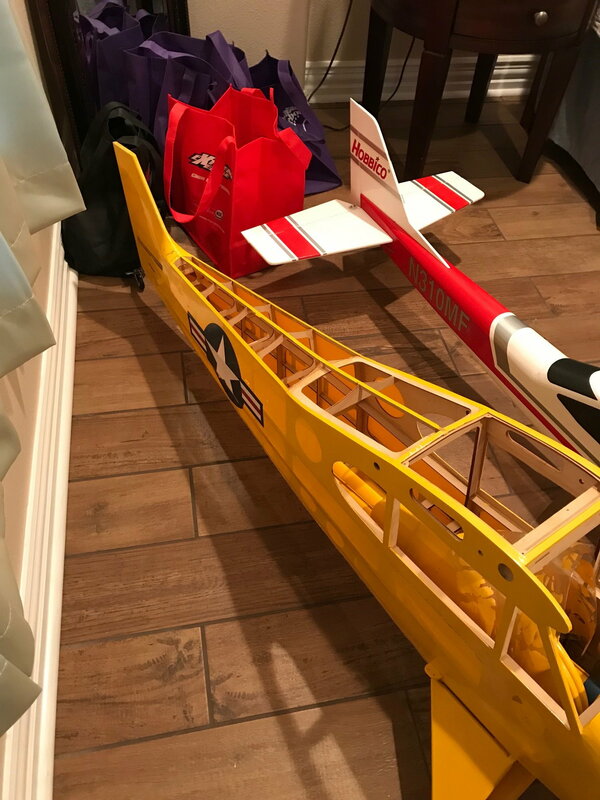 My brother in law isn't a flyer but seems to think the plane was never assembled completely. The covering on top of the fuselage has been removed. Maybe, damaged in shipment or crash. Although, the level of completion I can see in the photos lead me to believe it was never completed or flown. It has a strange mix of civilian and military markings. The "D" from the tail number has been removed on both sides of the fuselage and US roundels of different eras were placed on the wing tips and the tail. There's one with similar markings page 51 on this forum with the same graphics ( Post #1270 by crazystick). Maybe the previous owner got the idea from those pictures. I certainly interested in your offer to have the manual copied. I'd be glad to pay you whatever it costs for reproduction and shipping. Or if they can just scan it and e-mail it to me, I can have it printed and bound on my end. I'd be happy to pay you either way. Does anyone know which brand and color was used in the manufacturer of the yellow-covered DPM Super Cub. I will have to cover the entire top of the fuselage and would like to use the same covering if it's still available. eBay has carbon tubes that look like they would work for a wing tube. From the specs posted above it looks like 19mm x 1000mm would be able to be cut down to length. Not sure that your still following this thread bu I was admiring your YS 140 Sport Installation. I'm currently exploring powerplant options for my DPM Super Cub. I was just wondering how well it performed for you, any problems you had, or if you ran into installation issues when you mounted it. I know it's been awhile since you built you Super Cub but do you remember why you selected it over the other options? I appreciate the heads-up. I'll take a look over on ebay! Thanks, G.P. G.P. , I was able to pick up a 19x17x1000mm carbon fiber wing tube on ebay. Thanks for the tip! I'm so psych'd to get this thing going! May have to drive to Houston to pick it up this weekend instead of waiting until the end of the month! I was finally able to add the pictures. Not sure how I managed to have them inserted before the text and why they're so large. Oh, well at least I was able to get them posted. Last edited by crazystick; 03-09-2019 at 08:21 PM. Thanks for the details on the covering. I don't have any experience with the Ultracote products. You know if it behaves the same as Monocote? I did see a photo of your model a few days ago on this thread but don't remember which engine you had installed. I'm trying to decide which powerplant to use? Would you recommend the engine you mounted in your model ? Had any issues? I am considering YS FS140 Sport, Saito 125a and Saito 150b but I am open to other suggestions. Thanks again for the help with the Ultracote color.